Urban farms are on the rise, and it makes good sense. As our cities expand and become more populated, it becomes ever more important for us to learn new ways to grow and distribute food. As an elementary and middle school science teacher, I always try to find ways to connect classroom learning with important community issues. Gardening is a great hands-on way to teach my 6th graders science while showing them the practical skill of turning a barren plot of land into a food-producing garden. Gardening is also a perfect launching pad for talking about ways that science can help communities. This year, two Lowell 8th graders studied food deserts in Washington, DC, and, more generally, the problems associated with large urban populations being far distances from reliable grocers. The intersection between social justice and sustainable food production is one that Lowell students have taken very seriously, and this year they took a trip to the Common Good City Farm to further investigate how these issues can be solved. Below are some gardening activities you can try with your family, some books and blogs on urban gardening, and suggestions for helping children think about the science, technology, engineering, art, and math (STEAM) involved in growing food. You can take your kids out to the farm without even leaving the city! Right here in DC, we have a growing food culture. 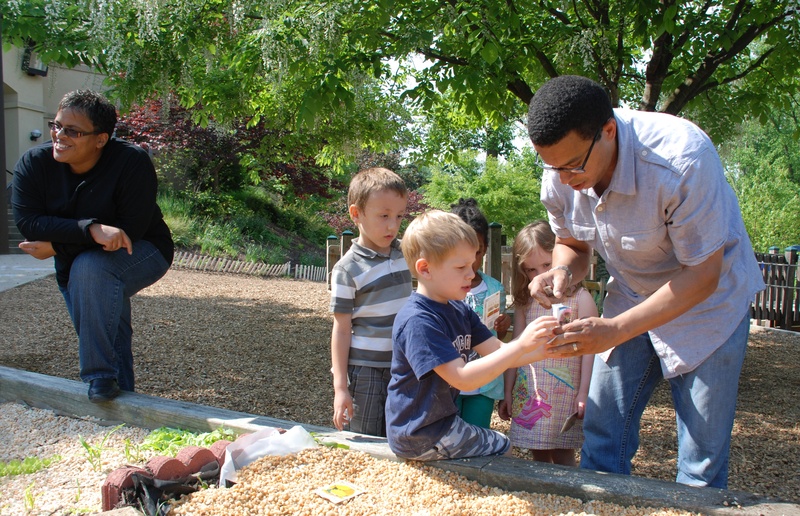 Organizations like, DC Greens, Common Good City Farm, and Little Wild Things City Farm have beautiful plots of land that are open to volunteers and visitors who want to see food growing right in front of their eyes. The more we connect our students and children to the process of growing food, the more we truly connect them to nature, not to mention all the good dirt and immune building microorganisms! Hydroponic systems offer a viable alternative to city dwellers who might be short on space for gardening. These systems also offer plenty of opportunities for parents to encourage children’s scientific inquiry and observation skills. On this year’s 8th grade trip to Costa Rica, Lowell students visited a mountain resort focused on sustainable practices and bird observing. Located on the grounds was a hydroponic system growing fresh lettuce without using any soil. Last year, 6th grade science students worked on a STEAM project to develop their own hydroponic system from scratch. Take a look at this great resource that lists many different types of hydroponic systems that are easy to maintain and affordable. My personal favorite is the AquaFarm, an example of which can be found in one of our Kindergarten classrooms. Living in an apartment doesn’t mean you can’t grow your own food. Hydroponic systems might be an obvious choice, but there are many innovative options for growing food in actual dirt if that is what you prefer. Take a look at these great ideas for growing food in an apartment building from Apartment Therapy. You can grow food for dinner right in your living room! I’m really looking forward to seeing the Herbert wall planter and what it can do. Though it may be a little on the pricey side, this could be the future of growing food. Take a look at this new technology with your middle schooler and think about where you could grow indoor vegetables in your home. Maybe your teenager could have one in his/her room? Even better than video games, I say! Though it is great to have your own space, gardening as part of a community can be an excellent experience. Find your closest community garden here. Cooking with your children is one of the greatest ways to bond, develop a sense of responsibility, and nurture a passion for nutrition and the culinary arts. Even if you have very little ones, you can give them age-appropriate jobs in the kitchen. When your children get older, they can learn to cook the dinner one night a week. And, these tasks become so much more exciting when children can help pick food that comes from nearby farms. You can shop locally or join a CSA to get fresh food delivered to your door. If you live in Northwest DC, you can order local food from 4P Foods and swing by Lowell School’s campus to pick up your order. 4P Foods sources local, organic and responsibly grown meat, dairy, and produce. Each week on Friday, 4P Foods drops off your order at Lowell. If you are interested in receiving and picking up a bag or two each week from Lowell, just head on over to 4PFoods.com to find out more. All you have to do is choose Lowell School as your drop-off location. One of my favorite things to do is to choose foods that are best for Saturday breakfast since the bags get dropped off on Friday. For a list of other CSAs serving Washington, DC, consult the Local Harvest website. This beautifully illustrated children’s book tells a story of a young boy who stumbles upon a few wild plants growing in the cracks of a dreary city. With a little care and effort, Liam turns an abandoned railway into a beautiful urban garden. His enthusiasm extends to others in the city and transforms the once barren city into a nature filled landscape. This book has been part of our 6th grade reading list for a long time. Wonderfully illustrated by Judy Pedersen, this book draws readers into a story of cultural exchange through gardening. As one Vietnamese girl plants in a vacant lot, her community catches on and begins working together to grow food from their cultures. Another great book that takes you around the world through the lens of food, What the World Eats shows families from 21 different countries and what they eat in a week. The illustrate how the world gets its nutrition in various climates and cultures. Here you’ll find a great collection of resources and topics to share with anyone looking to grow their food, raise chickens or goats, start DIY projects, or take control of their health. With a list of great e-books and online courses, Weed Em’ & Reap provides a full array of topics that can help get you started. 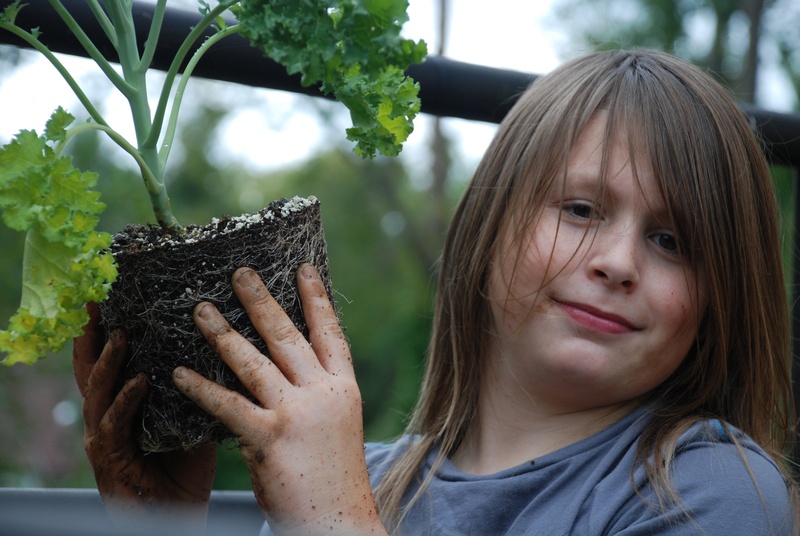 A really special resource here is the Urban Farming for Kids online class. How can you use technology to create a consistent watering system? For example, wifi smart plugs can take the place of more traditional timers to water plants while you are away. Figuring out the technicalities of this could be the start to a great STEAM project. How do you use math in the garden? Being able to calculate volume, area, and mass will all help when you and your children plan your garden. What is bio-mimicry? This is a great STEAM topic for students who are looking to get creative. Bio-mimicry investigates the properties and designs of nature that can be applied to human engineering. 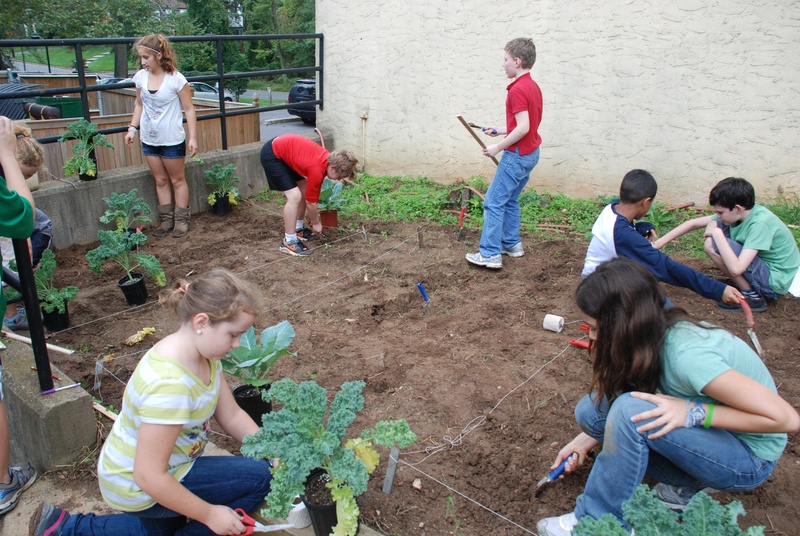 Take a look at these cool projects provided by the The School Garden Project and get inspired! Lucas Kelly earned his bachelor’s degree in environmental science and policy at the University of Maryland and his MAT from the University of Maryland University College. Lucas started his teaching career at the Echo Hill Outdoor School and then became the director of the Voyagers’ Outdoor Program and science/math teacher at the Voyagers’ Community School in Eatontown, NJ. Lucas joined the Lowell School faculty in 2016.